The prelude continues like this with different variations on harmony and change of key. 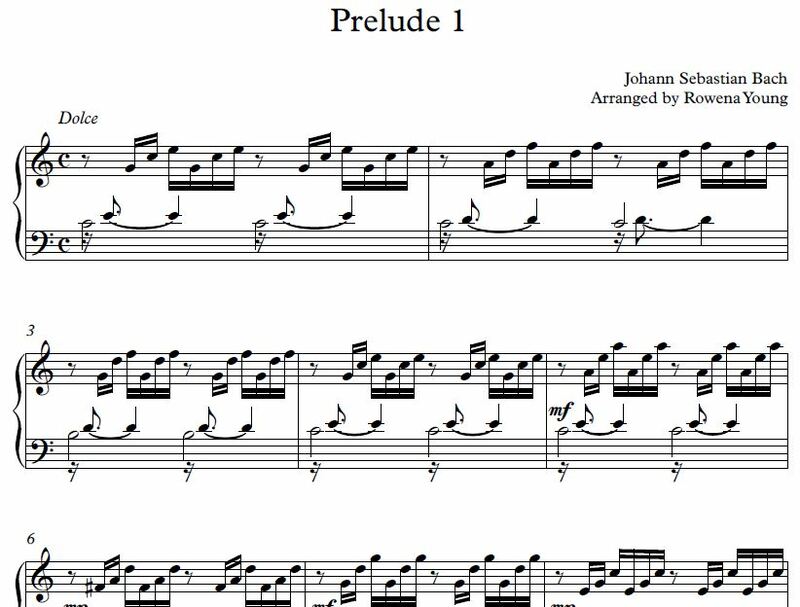 The prelude ends with a single C major chord. Some earlier editions of the prelude contain an extra bar between bars 22 and 23 known as the "Schwencke measure", a measure allegedly added by in an attempt to correct what he or someone else erroneously deemed a "faulty" progression (though it may be accidentally corrupted manuscript(s) associated with Schwencke), even though this sort of progression was standard in the music of Bach's time. However, according to Hermann Keller, "Schwencke was a sophisticated and well-informed musician who was probably not thinking of improving Bach." 4 (second inversion) minor chord with C as its root borrowed from the parallel harmonic minor. The A♭ may be considered as its enharmonic, G♯, which creates a major second step with F♯, but A♭ functions as an upper leading-tone (parallel natural or descending melodic minor). Franz Kroll may have been the first to question and edit the measure, first in 1862, and the measure does not occur in Bach's student Heinrich Gerber's 1725 manuscript copy. August Halm was also critical of the measure, questioning its logic as early as 1905. 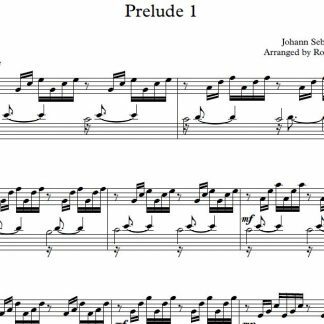 The fugue is 27 bars long and is written for four voices. It starts with a two-measure subject in the alto voice. The first voice to join is the soprano, which replies with the answer in the dominant key (G major). The answer is repeated in the tenor and bass voices, respectively, when they enter. 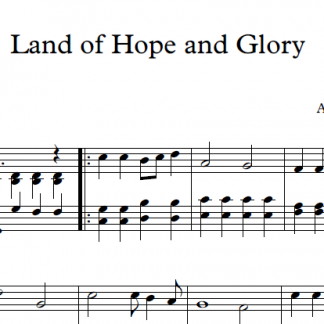 The piece then modulates through various related keys, with the subject being repeated in each of the four voices. The piece eventually ends up back in the home key. It ends with each voice stopping at a note and holding it until the end, forming a C-major chord. Charles Gounod composed a melody that was designed to be based on the prelude; a setting of that melody to Ave Maria is popular. The edition of the prelude used by Gounod contains the Schwencke measure. 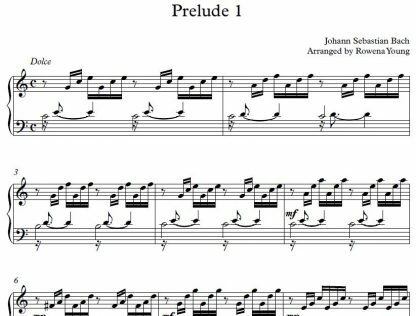 Mstislav Rostropovich compared this Prelude to the introductory bars of Bach's famous Prelude of Cello Suite No. 1, in a video named Rostropovich interprets Bach, filmed in 1991 at the Basilique Sainte Madeleine in Vézelay, France. "Repent Walpurgis", the last track on the debut album by progressive rock group Procol Harum contains an arrangement of the prelude by band leader Gary Brooker. ^ a b c Barber, Elinore (1970). "Questions to the editor". Bach. 1 (1): 19–22. JSTOR 41639775. 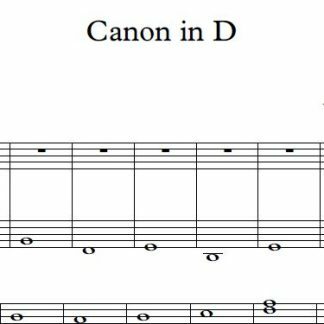 The insertion of the measure shows a fundamental misunderstanding of Bach's skip in the bass from F-sharp to A-flat. 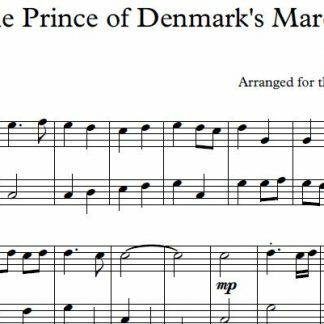 It seems unlikely that any knowledgeable contemporary of Bach's would have tried to 'correct' this not uncommon bass progression. ^ Keller, Hermann (1965). 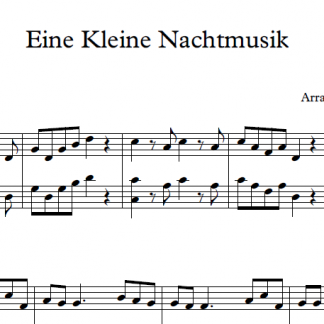 Das Wohltemperierte Klavier von Johann Sebastian Bach, p.40. Kassel, etc. : Bärenreiter. [ISBN missing]. Quoted in Müllemann, Norbert "On the lookout for the lost measure: Bach’s C-major Prelude from the Well-Tempered Clavier I", Henle.de. Accessed: June 8 2018. ^ (2009). August Halm: A Critical and Creative Life in Music, p.56. University of Rochester. ISBN 9781580463294. ^ Lockwood, Lewis; Webster, James; Reynolds, Christopher; eds. (1996). Beethoven Forum, p.70. University of Nebraska. ISBN 9780803229211. Halm (1905). "Musikalische Logik", Der Kunsturart 18, p.486-87. ^ Johanson, Claes (2000). Procol Harum: Beyond the Pale. SAF Publishing. p. 91. ISBN 978-0-946-71928-0. ^ The Foundations of Rock : From "Blue Suede Shoes" to "Suite: Judy Blue Eyes". Oxford University Press. 2008. p. 67. ISBN 978-0-199-71870-2.